Brands must get creative and seek ways in which to connect and engage with students. In a saturated market, unique student accommodation advertising ideas can help you brand make a real impact. 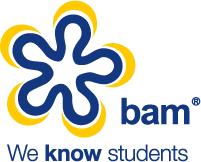 BAM can create bespoke accommodation marketing packages or select the most effective channels as part of a wider experiential campaign.